Buffed water buffalo horns from India, Bubalus bubalis, measuring 22 inches around the curve of the horn using a cloth tape measure. 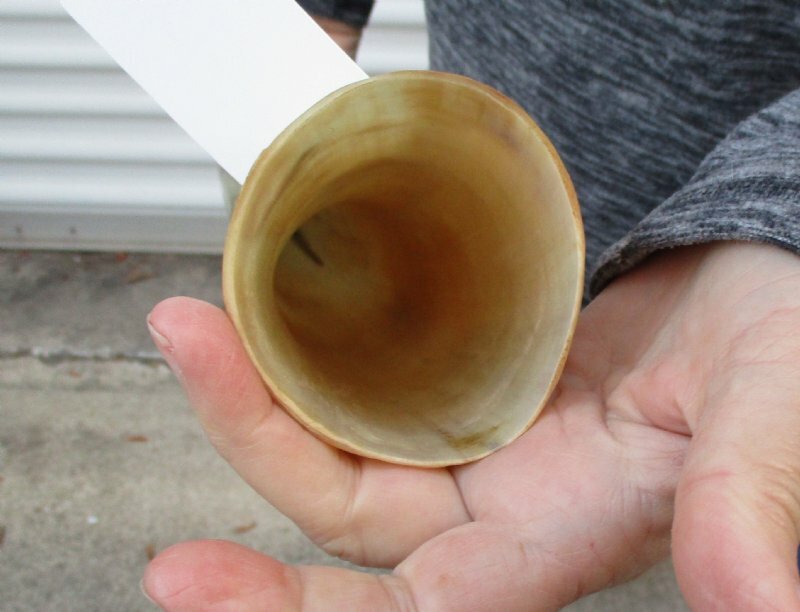 This horn has been cleaned and buffed, but not polished to a smooth shine. 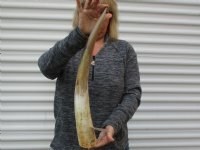 There may be rough patches and scratches throughout the horns and overall they appear more rustic than our polished buffalo horns. 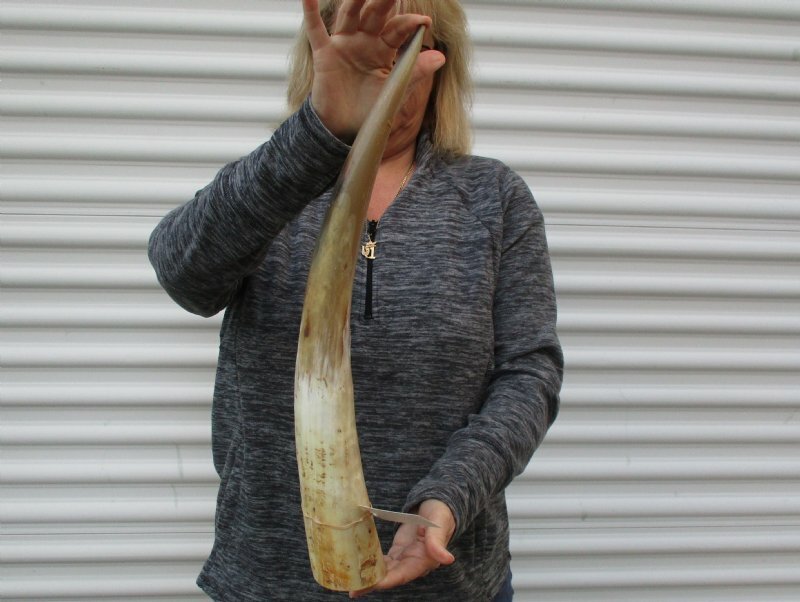 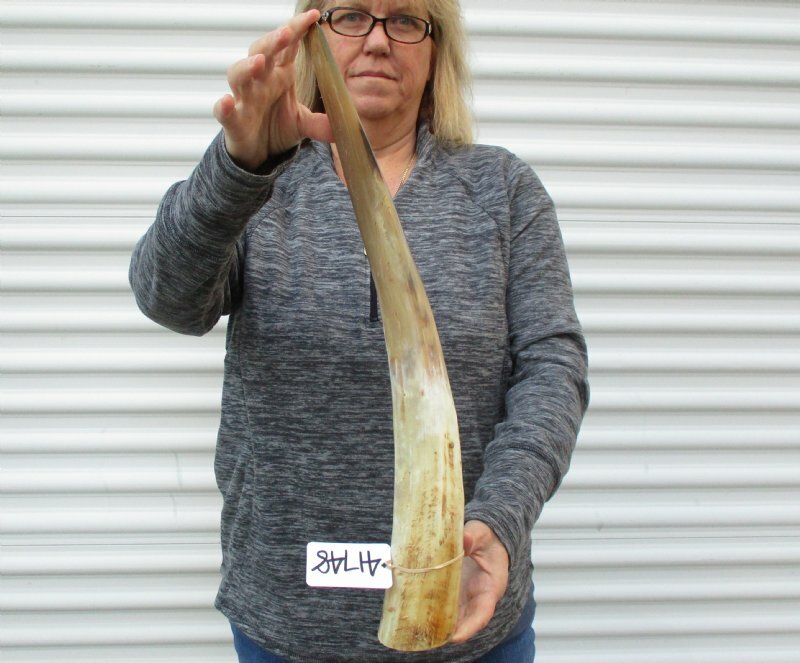 Buffed buffalo horns vary in coloring, size and shape and are used for making animal horn jewelry, in cabin decor, rustic decorating, in making knife and cane handles. You will receive the horn in the photos - review all photos.